The latest openers from manufacturers like Liftmaster (Blue Sky Builders’ preferred brand) have built-in Wi-Fi. You can easily and securely connect your garage door opener to your home Wi-Fi network, allowing you to control the door from your smartphone with a simple app. For those who still want an old-school remote, never fear: you can still get those for your smart door opener. Some brands offer a keyfob-style opener, which is a nice alternative to the visor-clip style. In many urban areas, a growing number of people have garages but do not own cars, preferring car-sharing services like Uber. Being able to enter their home through the garage using their smartphone or a keyfob just makes sense. With a smart garage door and corresponding smartphone app, you can receive an alert when the door is opened or closed. This can be helpful for tracking the comings and goings of family members. If you routinely give your garage code to a pet sitter or housekeeper, you can also use this function to check up on their arrival and departure times. Do you have a family member who often forgets to shut the garage door when they are done working outside in the evening? With a smart garage door, you can set a recurring schedule to close the door and turn the opener’s lights on and off. If you have a voice assistant such as Google Home, you can even use it to speak a command that will shut the door for you. If you live in an area where power outages are a problem, you do not have to worry about being locked out. Many modern garage door openers come with a battery backup that will keep the door functioning until the power comes back on. 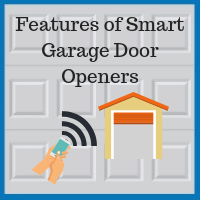 The latest garage door openers also have other safety features that can improve your home security, such as deadbolt locks and extra bright lights that illuminate the garage from corner to corner. 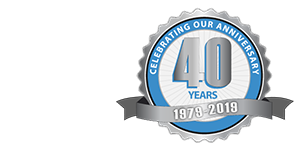 Blue Sky Builders of Downers Grove has been installing garage doors and electric openers in Chicago and the surrounding suburbs for almost 40 years. We also build custom garages. If your garage door or garage door opener needs repair or replacement, contact us at 630-852-8485.